In all the hub-bub of the Fall Beer season (which is my favorite), the holiday beers tend to get drowned out. So for today’s New Beer Friday, I chose Abita’s Christmas Ale. Okay so I cheated and actually tried this one for the first time on Sunday night, but I’m drinking another now and that will have to suffice. I’ve yet to try an Abita variety that I didn’t like and their holiday offering is no different. Abita is another brewery that, like Goose Island, purposely changes their holiday recipe to give xythophiles a something new every year… just like a Christmas gift as their label informs. Christmas Ale 2014 pours a dark reddish brown with a small bubbly head that dissipated quickly. There’s a hoppy aroma with just a little bit of spice. The first pull is slightly bitter and brings a very heavy pine flavor evenly layered with cocoa. The bitterness mellows quickly and the back end brings some coffee, cinnamon and just a little bit of orange peel. Maybe it’s the pine and the chocolate, but to me, this just screams “Christmas Beer” and I’m sure that’s exactly what the brewers at Abita intended. This is a great beer for a cold holiday night in front of a roaring fire and a brightly lit Christmas tree. True, there are other sweeter and spicier holiday brews available, but this one can definitely hold it’s own against them and is worth trying. 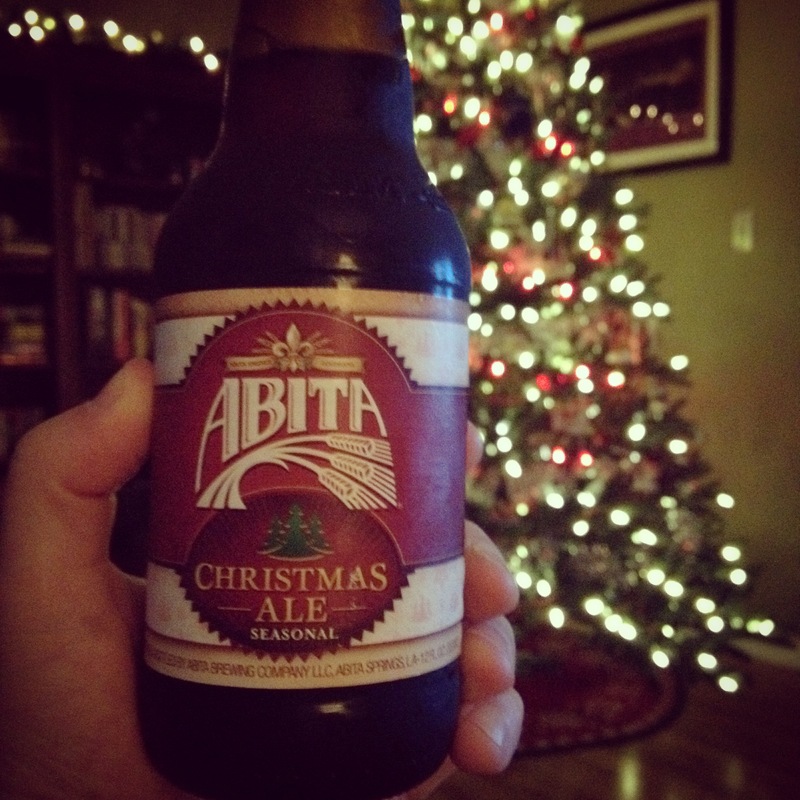 Tried Abita’s 2014 Christmas Ale? Leave a message in the comments!